Moscow suspended rice imports from India in February 2013 on account of a “possible presence” of the khapra beetle in Indian agricultural products. India has formally raised the issue of rice exports to Russia, with New Delhi asking Moscow to lift a temporary suspension, which was imposed in February 2013. The subject was discussed during a meeting between Indian Commerce and Industry Minister Anand Sharma and Russian Minister of Economic Development Alexey Ulyukaev, on the sidelines of the ASEAN Ministerial meeting in Brunei, The Hindu said on its website. Sharma sought a resolution of the issue over sanitary and phytosanitary (dealing with basic rules for food safety and animal and plant health standards) measures concerning standards of Indian agriculture exports to Russia, the paper said. While the situation with imports of Indian rice is not settled yet, Russia is contemplating lifting the temporary suspension on the Indian rice imports, according to Reuters. “We are satisfied with quality control measures taken by India,” Alexei Alekseenko, Russia’s Federal Service for Veterinary and Phytosanitary Surveillance (FSVPS) spokesman, told the news agency. Prior to the ban, India’s rice exports to Russia had been on the rise. The April-December 2012 fiscal period saw the fivefold increase from $4.5 million during the same period a year before, according to The Hindu. In February 2013 the Russian Federal Service for Veterinary and Phytosanitary Surveillance (FSVPS) suspended rice imports from India in February 2013 “due to a possible presence of a bug named trogoderma granarium” or the khapra beetle, the paper said. The Khapra beetle is one of the world’s most destructive pests of grain products and seeds and is believed to be one the 100 worst invasive species in the world. 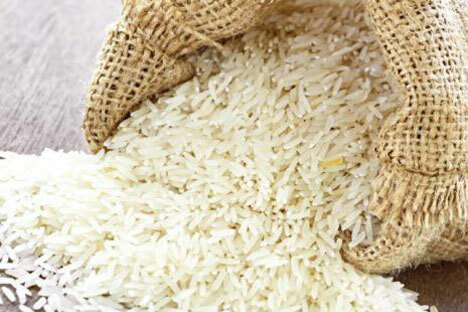 Countries like the US have a quarantine restricting the imports of rice from countries with known infestations of the beetle, which include India and Pakistan. Anand Sharma also called on Russian to implement the Memorandum of Understanding on Pharmaceuticals which was signed between the countries in 2010, according to the report on The Hindu. Sharma was cited as saying that Indian generic medicines would greatly benefit Russia in terms of both price and quality. The Indian minister asked Russia for the early realisation of the free trade agreement between India and the Customs Union of Russia, Belarus and Kazakhstan, according to the report, which added that the sides discussed the protection of Russian investment in India and the proposed amendments in the Bilateral Investment Protection Agreement. .